Our FruitBoxes contain organic fruit, responsibly sourced from UK and European farms, and Fairtrade bananas most weeks from the Dominican Republic. Why do we have to import fruit? We have to source fruit from Europe as it’s a lot harder (and sometimes even impossible) to grow a wide variety all year round in the UK. Occasionally we make exceptions, for example Fairtrade bananas, a popular fruit which can’t be sourced from Europe, so they have to come from further afield. Each week we publish our box contents which includes the country of origin. When it comes to our vegetables, as much as possible is from our own farm in Sutton and from other farms in the UK, such as A G Brockman and Ripple Farm Organics, which are situated nearby in Kent. Sometimes we have to source vegetables from other areas to ensure variety in our VegBoxes. However, for fruit we take a different approach in order to offer a good product throughout the year. Feedback showed that most of us like to eat fruit all year round. Even the most dedicated local-food eaters among us probably find it difficult to forgo the odd avocado or cut out bananas altogether (if you do, we salute you!) Whether you purchase your fruit from a supermarket, an independent grocers or a farmers’ market, for the majority of the year a lot of it will have been grown abroad. How does selling fruit help the farm? Our farm is an inclusive, welcoming space for the community to learn new skills, get exercise and make friends. We are passionate about sustainable agriculture, supporting land-based employment and education. We have two apprentices, 35 weekly volunteers and regular groups from schools, disability colleges, vulnerable adults who are referred to us, and community services. Our farm heavily relies on the income from our not-for-profit VegBox Scheme to support it financially, so expanding this scheme to incorporate fruit helps us to raise more funds through the VegBox Scheme by selling a product that you probably purchase elsewhere anyway. In buying your fruit from us along with your vegetables, you’re continuing to support your local community farm and all that we do in a positive way. 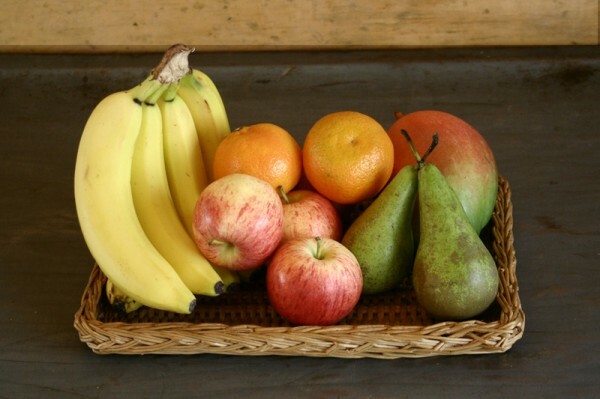 If you’d like to add a FruitBox to your regular order, visit our online Farm Shop or log in to your account. Thank you for the lovely newsletter which was really enjoyed by my family including a young son. The vegetables were very tasty but it's not only the tastes that we enjoyed. It came with care and respect to nature which I felt was something special. We ate all the vegetables and are looking forward to receiving another VegBox tomorrow. We talk more about the environment thanks to your activity. We talk about animal care more than before. I think Sutton Community Farm is about how we human beings can really live. I never imagined that being "closer" to the soil is so inspirational. Many thanks to you! Congratulations Sutton Community Farm on the miracle of the year - my daughter doesn't eat vegetables, yet she ate your kale!